Aside from the meaningful injury to center Maurkice Pouncey and a meaningless victory, some other developments emerged from the Steelers’ third exhibition game. 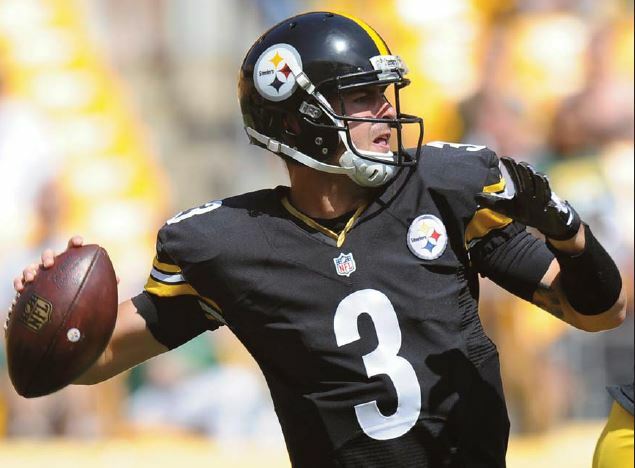 Landry Jones looks like a quarterback ready to move into the No. 2 job behind Ben Roethlisberger. The Steelers might think he is not ready to pass Bruce Gradkowski for that job, but they feel a whole lot better about him today than they had in his previous two years. That is why they drafted him in the fourth round from Oklahoma in 2013, and this summer he has taken some big steps. It helped him that Gradkowski opened camp on the shelf after practicing little in the spring with a sore shoulder. That has provided Jones with more practice and playing time, and he picked up more Sunday when Gradkowski left the game late in the second quarter with a finger injury on his left hand in his first and brief appearance in the preseason. Jones finished the game and rallied his team from 16-9 down to victory. His day started poorly when his first pass was intercepted, but he went on to throw two touchdown passes, convert third downs and looked good making decisions and making all the various throws, including a deep one to rookie Sammie Coates that covered 54 yards and a perfect fade pass for a touchdown to Shakim Phillips that went for 20. He finished with a nice 96.8 passer rating. His stats through two games did not show the kind of improvement he has made this summer and over the past year because of young receivers dropping touchdown passes and not running the right routes. But Jones falls into that category of not allowing those as excuses and not pinning the blame on others. His coach has taken notice of the improvement..
“It’s largely been arrow pointed up,” Mike Tomlin said. “Like I’ve said before, it’s big picture. Has it been good enough for him to leap over Gradkowski to No. 2 and suit up for the first time in a game that counts? “Ummm, you know what? I try to stay out of that as much as I can,” Jones said. “I can’t control what they do with me and Bruce. I just go out there and do my best and play my hardest. The Steelers might not be strong at cornerback, but that does not mean they will have easy decisions at the position when it comes time to cut. Antwon Blake is an example. While Aaron Rodgers seemed to pick on him early, Blake played stronger as the game Sunday progressed, and led the team with six tackles. He also showed the importance of his special-teams play when he downed Jordan Berry’s punt at the one with an athletic, heads-up play that set up James Harrison’s sack/safety of Rodgers. Do the math: If they keep six cornerbacks as they did to start last season, the job would seem to be simple: Cortez Allen, William Gay and Brandon Boykin are the top three, then Blake, rookie Doran Grant and Kevin Fogg. They kept five safeties last season, but only eight linebackers. If they keep just eight linebackers again, it would mean that would leave Anthony Chickillo, Terence Garvin and Howard Jones on the outs. If they want to keep one or even two of those three, someone has to go in the secondary to provide the roster spot. So, what is it, 10 in the secondary and nine linebackers, or 11 and 8? Undrafted rookie wide receivers Tyler Murphy and Shakim Phillips each have had their moments, including Sunday when each caught a touchdown pass from Jones. They were teammates at Boston College, where Murphy, the quarterback, threw passes to Phillips. Now they are competing for a spot at wide receiver with the Steelers. Unless the Steelers keep six wide receivers — and even if they do — Murphy and Phillips more likely are competing for a spot on the practice squad. With Murphy’s ability to imitate opposing mobile quarterbacks, he could have an edge there.